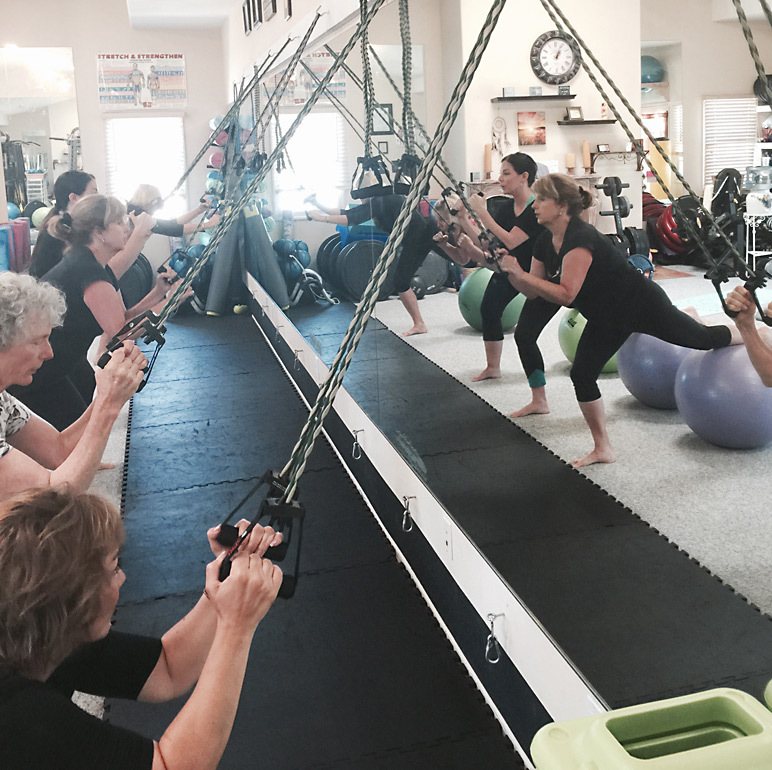 Feel the power and positive energy of our small group classes. 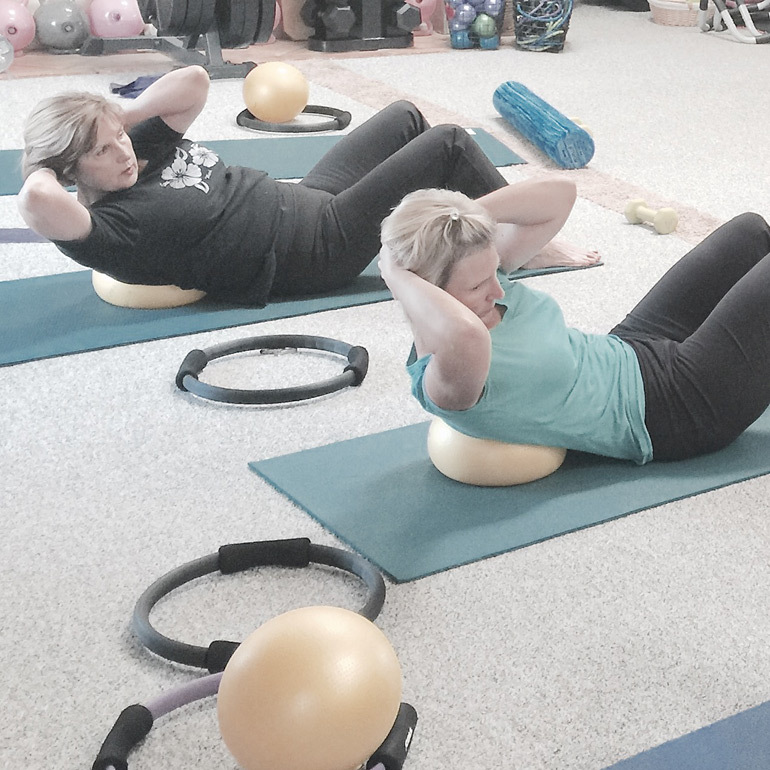 We help you fill every movement and moment of your workout class with awareness and mindfulness. 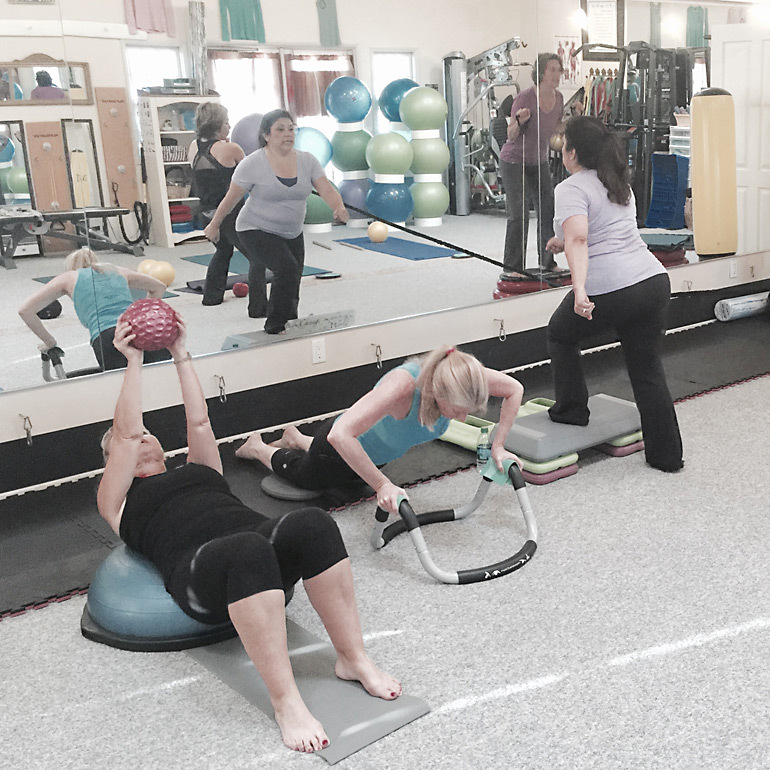 The concept that “fitness is fun” is what our small group classes are all about. There is no competition here at Core Fitness Training. Every ego gets checked in at the door and only fun is allowed. 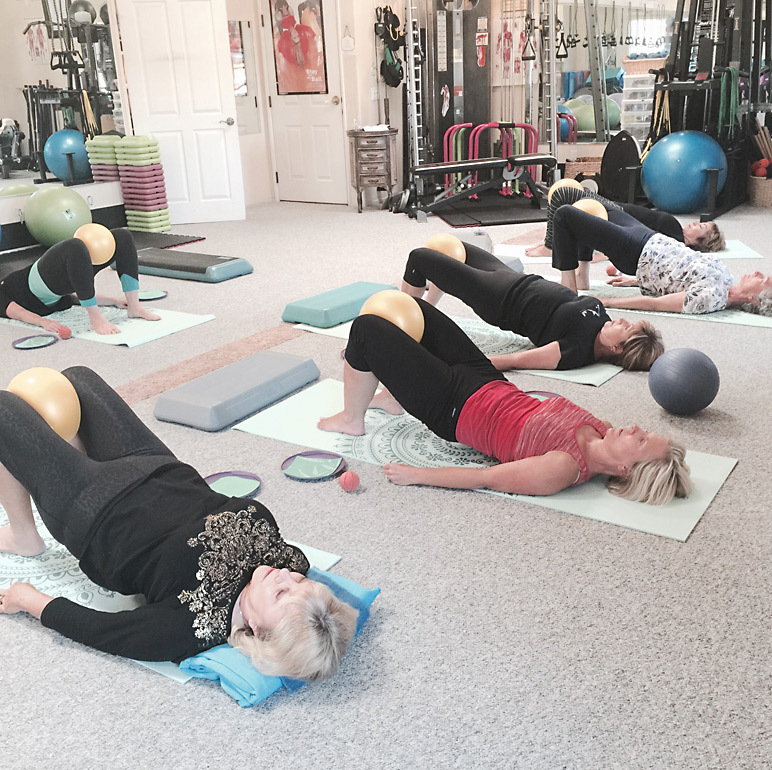 In our small group classes our goal is to develop the sides of bodies evenly, especially along the spinal column where uneven muscle balance can result in misalignment and back problems. 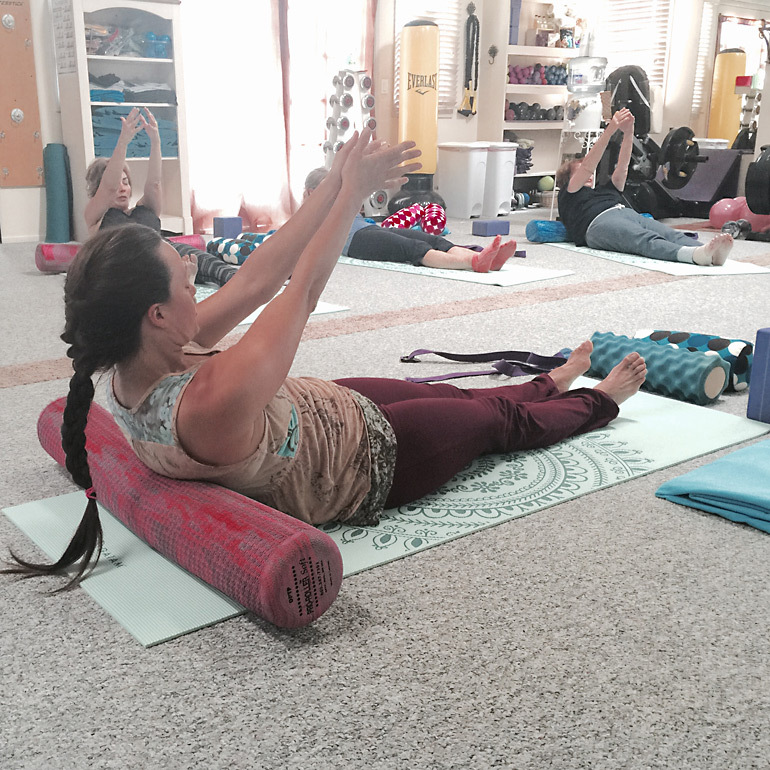 Whole body symmetry and alignment create unhindered movement and allow you to use your energy efficiently. 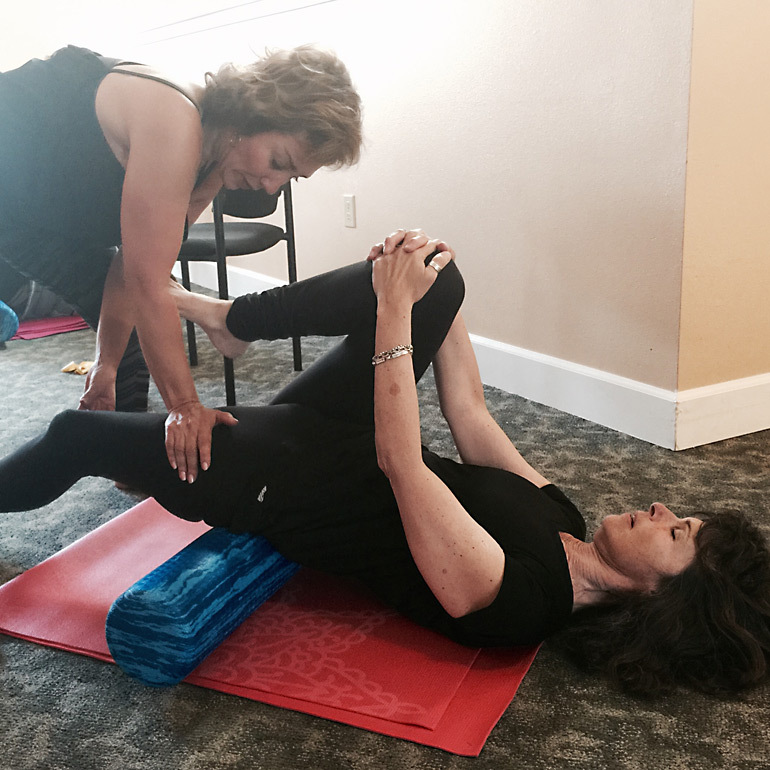 Knowing how to support and move correctly spares our joints and spines. 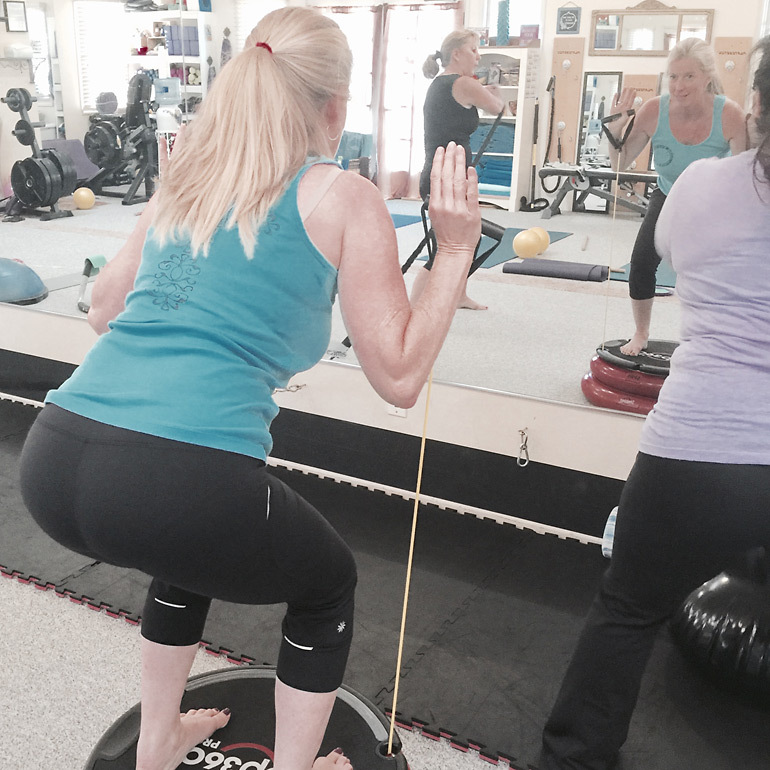 Working the small stabilizing muscles along with the larger muscle groups creates a powerhouse of energy and strength. Make a commitment and stay faithful to yourself with the ease of our small group workouts. 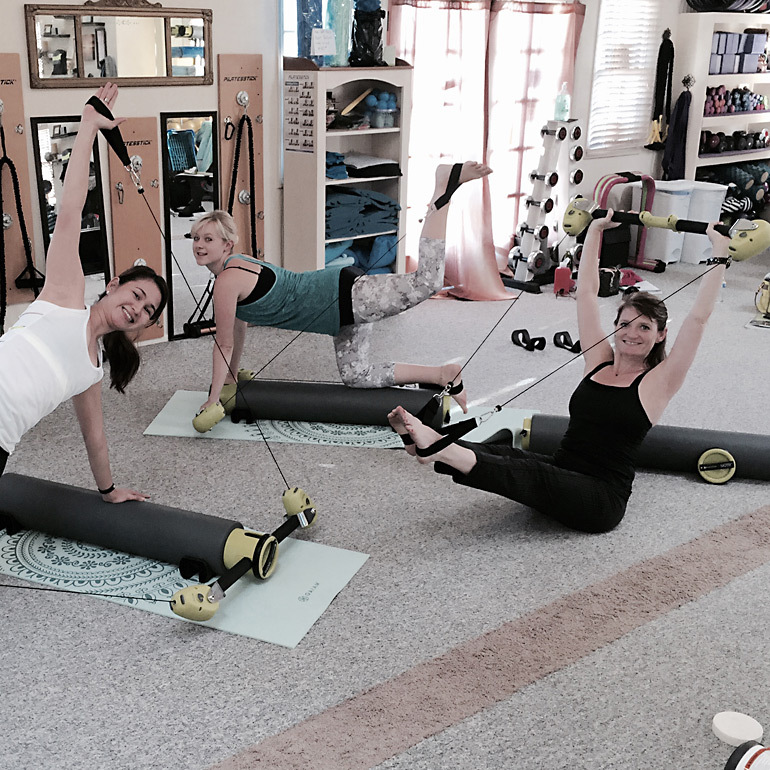 We also offer the opportunity to start a private group class with your friends and co-workers. Based on your needs, we tailor programs and times for the best outcomes for your group.